We asked Lambeth Living Well Collaborative colleagues to share some highlights from 2018 and/or their resolutions for 2019. My hopes/resolution for 2019 is to lead by example and prepare my team for the joint working culture within the Living Well Network Alliance (the Alliance). Highlights of 2018; the successful ‘Before I Die’ tent at Lambeth Country Show. Lots of people breaking taboos and wanting to talk about living well today as well as preparing positively for death, both for themselves and their families. A partnership between Healthwatch Lambeth and others including Compassion in Dying. For 2019, and in light of the above – we never know how long we have, to focus on what matters including spending proper quality time with friends. My highlights of 2018 have arisen from new friends and contacts. For example, through the Information Hub at Mosaic Clubhouse, we encounter many individuals whose lives, already challenged by mental illness, are further blighted by homelessness or major housing repairs issues which have dragged on for up to 20 years. As part of the Integrated Wider Front Door Redesign Project, I made a new contact within the senior management team of Lambeth Housing who has already helped resolve a fair few of these people’s housing problems. Similarly, I’ve seen lots of really effective partnership working between organisations for the benefit of people who have approached the Info Hub at the end of their tether, feeling abandoned and alone. I tend not to make resolutions but, in 2019, I personally want to start running again and professionally I’m looking forward to seeing the members of Mosaic Clubhouse help design and deliver mental health awareness training in a variety of contexts. More friends and professional contacts are, of course, always very welcome! My hope for 2019 is that Peer Support becomes much more standardised and recognised as a ‘skill’ among professionals and within the mental health sector. I hope that the personal development of Peer Supporters within (or indeed outside of) the sector might be supported by accredited training around all elements of the role and that the qualification might open doors to other career opportunities. I hope that we learn much more ways to uphold and support all those involved in Peer Support/Mentoring. Finally, I hope we all have a fruitful and enlightening 2019. I have enjoyed my first few months in the role, which includes driving forward the Carers Strategy. There’s lots to learn as I’m new to working in Lambeth, so it’s been great to speak to carers and people working locally to learn more of the issues facing carers in the borough. My background is working in mental health campaigning and co-production, and I’m passionate about ensuring carers are at the heart of decisions about services and support. In 2019, I’m excited about the opportunity to work with the Carers Collaborative Strategy Group and local carers to help make the aims of the Carers Strategy a reality. My highlight of 2018 was the visit to the urban garden, Moorlands Nature Garden Allotment and the feedback from the young people who had experience of services – the garden was calming and people were inspirational. My hope for 2019 is that we develop a new energy for peer support across the whole of Lambeth enabling us to keep people connected in their communities, while supporting them (as well as our staff) when they are receiving care. My resolutions are to be kinder, take another minute and listen more, and don’t give up on what I believe in. In 2018, I was fortunate to be involved in the whole Lambeth Alliance work, being instrumental in the development of services and creating the vision of future Lambeth. I have met so many willing and energetic individuals who are committed to making this work. Solidarity in a Crisis developed services from inception to delivery within a matter of weeks in collaboration with SLaM staff, so this was a great indicator that we can and will make things happen for our citizens. In 2019, there will be lots of opportunities for people to use their valued experience and become peers, to extend their own expertise to support someone else, which then continues to generate valued positive change within the wider system. 2018 : Getting past the starting point with the Alliance is a major achievement, and one that we should all be proud of. It’s the start of a big process of change that can make a real difference to people’s experience of service in Lambeth. I’m hoping that the new year will start to see changes in the way we are able to work with people who have not done well in the mental health system in the past – particularly people who are homeless and who may have a range of complex problems that don’t fit easily with the way services have worked in the past. The only sad bit of news is that we are losing Luigi’s service at Abbevilles Restaurant. Luigi has been with us for a number of years serving up a range of spectacular dishes and yummy breakfasts for the Collaborative an a range of customers across London. Luigi is moving on to pastures new but he will be at the next breakfast meeting (January 10, at Abbevilles) if you would like to say goodbye. He will be much missed by all of us at FST. 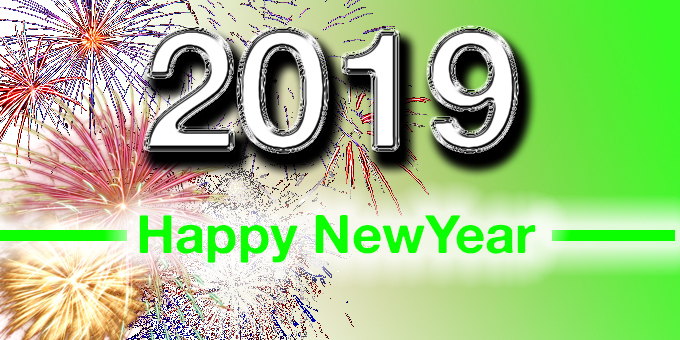 Were very much looking forward to 2019 as the New Year brings new opportunities for collaborative working and the chance to develop new solutions across the borough. 2018 highlight: Being able to be part of the design process of the LWN Alliance, participating in various workstreams, especially being involved in the Mosaic Clubhouse peer support on Rosa Parks prototype. 2019 Hope: The successful development of a new ‘front door’ to mental health services in Lambeth (learning from the work of the LWN Hub over the last three years) to provide a kind effective service to people and an enjoyable place to work for staff.